Moscow and Beijing are against any missile launches carried out by North Korea and are at the same time calling on the US to halt military drills in the region, Russian Foreign Minister Sergey Lavrov says. The statement comes following Lavrov’s meeting with his Chinese counterpart, Wang Yi, in the Philippines capital, Manila on Sunday. The ministers discussed the situation in the Korean Peninsula following the adoption of new sanctions on North Korea by the UN Security Council. Lavrov said Russia and China have already suggested a roadmap to resolve the Korean crisis. “Our joint initiative includes support of Russia’s proposal to create a roadmap for gradual restoration of trust and provide conditions for the resumption of the Six-Party talks. We have agreed to promote this concept in practice, including in the UN,” Lavrov said after the meeting with US Secretary of State Rex Tillerson in Manila. “Sanctions are needed but are not the ultimate goal. 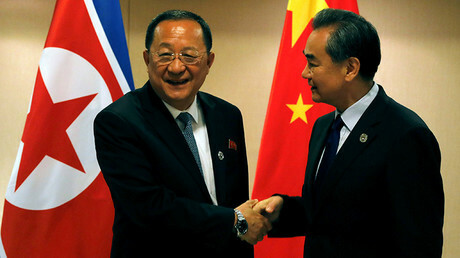 The purpose is to pull the peninsula nuclear issue back to the negotiating table, and seek a final solution to realize the peninsula’s denuclearization and long-term stability,” Wang said. Lavrov reiterated the joint Russian-Chinese initiative for “double freezing” which had previously been rejected by the US. The initiative, put forward by the Russian and Chinese foreign ministers on July 4, would freeze “any missile launches and any nuclear tests in North Korea,” as well as “large-scale military exercises by the United States and South Korea,” Lavrov said. The Russian foreign minister also said that the new resolution seeks to bring the North Korean leadership to the negotiating table – the six-party talks – while the restrictive measures are designed to make Pyongyang curb its missile and nuclear programs in accordance with UN resolutions. On Saturday night, the UN Security Council unanimously agreed to impose more restrictive measures on Pyongyang, banning exports of coal, iron, lead, and seafood. 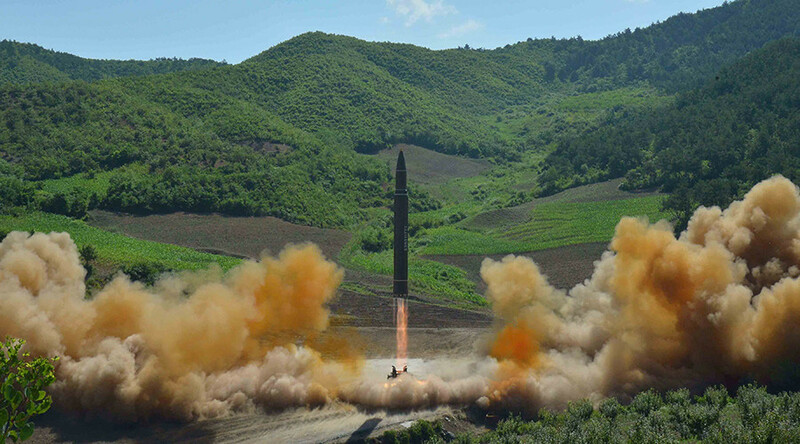 The move came in response to North Korea’s latest missile launches in July, which it, as well as South Korea and the US, claimed were intercontinental ballistic missile (ICBM) tests.